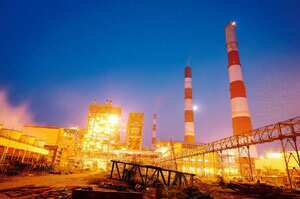 Carbon capture: A power plant set up by NTPC Ltd. The power ministry has involved the public sector thermal power generation company in the project as 80% of its installed capacity is coal-fired. New Delhi: Hoping to reduce carbon dioxide emissions from its coal-based power plants, NTPC Ltd will set up India’s first photobioreactor at its Dadri unit in Uttar Pradesh in association with the Council of Scientific and Industrial Research (CSIR) and The Energy and Resources Institute (Teri). “The reactor will be set up at an investment of Rs11 crore and will use flue gas (a combination of carbon dioxide and nitrous oxides) to grow algae and will help in carbon capture and absorption," said Jairam Ramesh, minister of state for power and commerce. NTPC is India’s largest power generation company and CSIR is the largest publicly funded research and development organization; Teri is an independent think tank based in New Delhi. India is ranked fourth among top contributors to global carbon dioxide emissions by the Netherlands Environment Assessment Agency, and it has come under increasing pressure from the West to cut emissions, especially from its coal-fired power plants. “We are looking at technologies for reducing carbon dioxide emissions, and have decided to form a task force of NTPC, Teri and CSIR to prepare a detailed project report for setting up this reactor. It will be a demonstration facility," Ramesh said. The task force has been given a month’s time to prepare the report. These microbes may either be cultivated in open ponds or the sea, or in land-based specialized tanks—as envisaged in this case—called photobioreactors. A senior NTPC executive, who did not want to be identified, said: “Our energy technology centre is involved and we are working on the proposal." The ministry has involved NTPC in the project as 80% of its installed capacity is coal-fired. With India producing around 67% of its electricity by burning coal, the power sector is the biggest consumer of the fuel, absorbing nearly 78% of the production. India’s current power generation capacity is 143,000MW and it expects to add 78,577MW by 2012, of which around 46,600MW will come from coal-based projects. Banwari Lal, who heads Teri’s microbial technologies division, said: “We are working with them (CSIR and NTPC). However, there’s a considerable amount of groundwork to be done. Capturing carbon dioxide using algae is as important as extracting oil from it." On his part, a CSIR official, who didn’t want to be identified, said: “We are still identifying the right microbial strains (of algae), and harvesting algae is not very easy." India consumed 485 million tonnes of coal in 2007-08, of which 78% was for the power sector. The demand for coal is expected to touch 1 billion tonnes by 2018. The sector, excluding the planned ultra mega power projects, is expected to need 545 million tonnes of coal by 2012.